e. paid for in India. and for these reasons, claimed that the service was in the nature of Royalty. The argument succeeded with the Dispute Resolution Panel ( not surprising at all! ) before the matter was taken on appeal to the ITAT by Go Daddy. 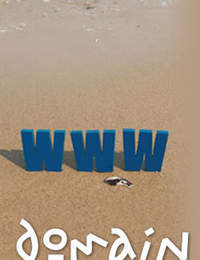 The ITAT went at length to show that Domain Name was in the nature of ‘Trade Mark’, a valuable Intellectual Property Right, and fortified this by referring to the proliferation of trade mark disputes in the country. The ITAT used this as a basis to hold that domain registration services amounts to rendering of services in connection with the activity of use of a trademark and hence qualifies as ‘Royalty’ within the meaning of clause (vi) read with clause (iii) to Explanation 2 to Sec 9(1)(vi). Importantly, none of the reasoning of the department was discussed and hence the conclusion of the Tribunal cannot be considered as arising from such reasoning. While there is no gainsaying that domain names are ‘trade marks’, the conclusion that by virtue of allotting the domain name, Go Daddy ended up rendering a service amounting to Royalty, does not appear convincing. It may be appreciated that it was never the contention of the Tribunal that the consideration was for ‘use of Trademark’ as otherwise, the decision could have been arrived at, with reference only to clause (iii). The conclusion in fact was that services had been rendered ‘in connection with the use of trademark’. This leads us to the question - when the activities of Go Daddy did not address the description of ‘use of trademark’, how could services in connection with the impugned activity, give rise to Royalty? The understanding of this writer is that royalty cannot be determined with reference to clause (vi) alone – the activities of the non-resident should answer the description of royalty, alternatively or cumulatively, in terms of (i) to (v) before checking applicability of (vi). Let us await the High Court verdict on the issue. An interesting feature of this case is that the Appellant did not claim ‘Tax residency’ status in United States of America in which it was located. Thus, the conclusion was reached de hors the Indo-US treaty. Given that the Treaty definition does not include the ‘ services in connection with’ condition, the decision may have gone in the Appellant favour had the Treaty been applied.